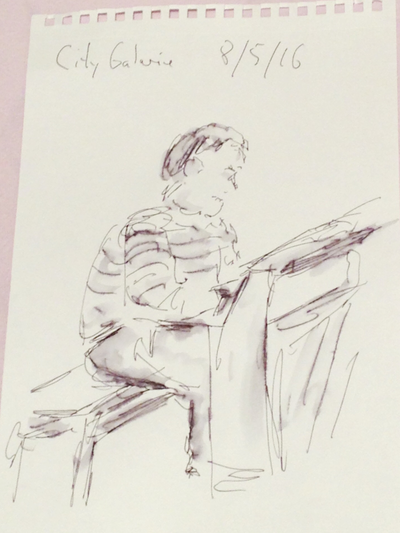 Had been playing for a while before a gentleman approached me and gave me his standing-up-made drawing of me. Thanks again sir (who ever you are)! 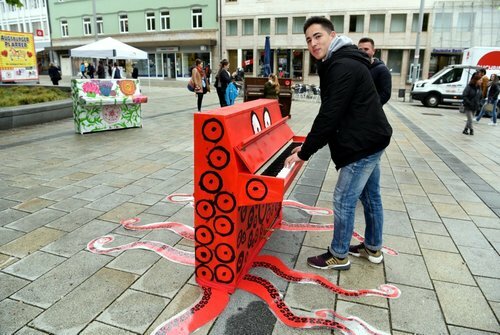 The "OKTOPUS" piano in the mall was the only open piano today, all 9 others closed due to the rain. Here's a nice You - Tensharp version from one of many fellow-players. Der rote Oktopus beim Pre-Opening! Ab heute ist er in der City-Galerie zu finden!